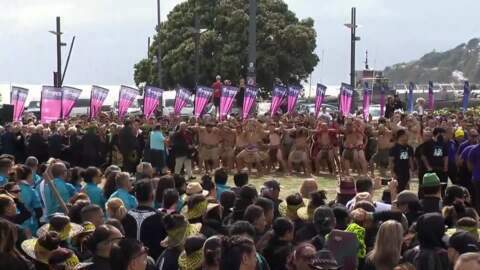 In the lead-up to Te Matatini 2019, Te Kāea has 13 special features focusing on the disciplines and practices of kapa haka. 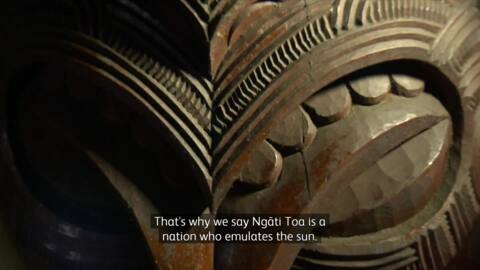 Each one will play out every night until the official pōwhiri for Te Matatini Ki Te Ao (excluding Waitangi Day) starting from February 3. Make sure you check out our sneak peeks and extras on our offical Te Kāea Facebook, Instagram and YouTube platforms. Is it time to depart from the stencil moko? 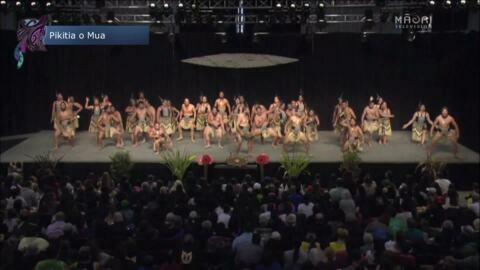 It's becoming a common sight: kapa haka performers with traditional Māori moko taking to the Te Matatini stage. But is it time to depart from the drawn-on moko? 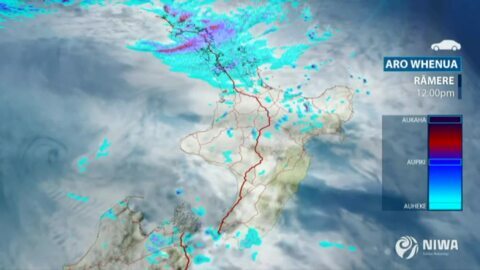 Cold and wet conditions are set to put a dampener on Te Matatini ki te Ao as a low-pressure system is forecasted for the final days of competition in Wellington. Known for their powerful performances, Ruatoki spread an important message upon the Te Matatini ki te Ao national stage today. The Duncan McIntyre trophy is awarded to the overall winner of Te Matatini, but this year the coveted taonga will be accompanied by a new trophy. 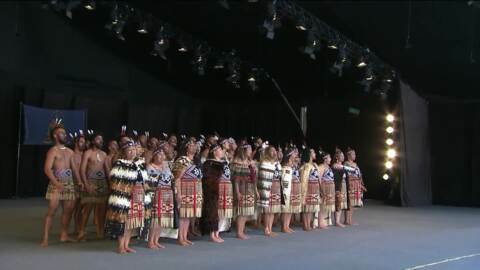 Representing all hapū of Te Whakatōhea, Ōpōtiki Mai Tawhiti return to the national stage after taking out the Mataatua regional kapa haka competition in 2018. 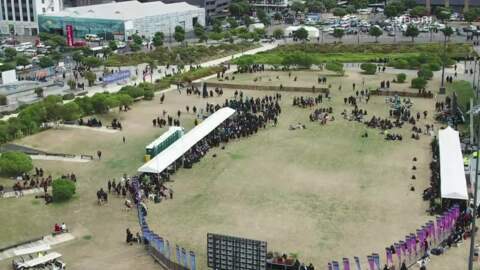 The official Te Matatini ki Te Ao pōwhiri is currently underway at Waitangi Park in Wellington's CBD. 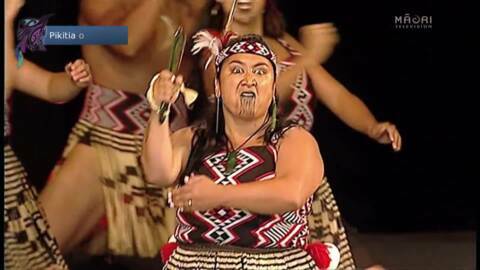 Iwi leader Kahu Ropata says Ngāti Toa and Ngāti Raukawa will work alongside Te Ātiawa to perform Ka Mate, arguably the most influential haka in the world at Waitangi Park. Did you know that Wellington’s only haka group to win the Duncan McIntyre Trophy is part of this year’s festival? Ngāti Pōneke nannies and koro gearing up for kapa haka showdown at Waitangi Park for Te Matatini. 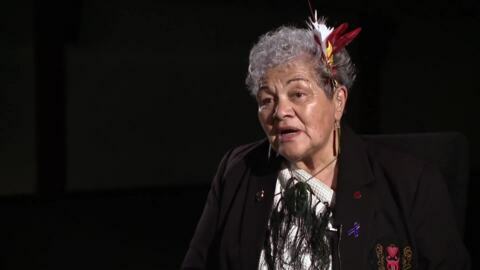 The role of the Manu Ngangahu isn't solely to flirt and excite, it's a vital leadership position that is part of ensuring an iwi executes its plans successfully, according to Naomi Houia of Te Whānau a Apanui, who's been given the role by her elders. 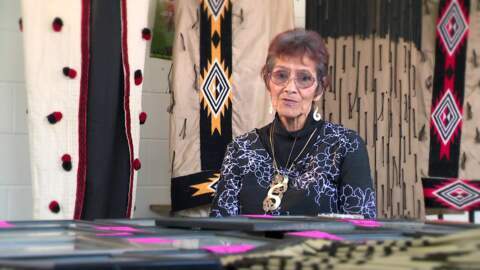 The pūkana of wāhine is an expression of love, according to haka exponent Hinematioro Nohotima. Hako is the result of the body being left to freely express itself, according to East Coast haka leader Ngarimu Parata. 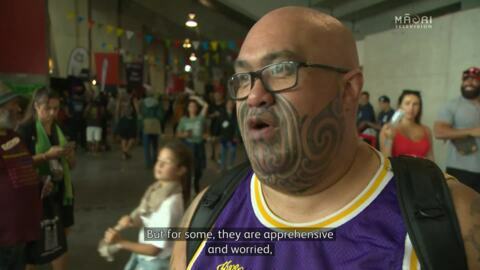 He says its a style that is unique to his Ngāti Porou people.